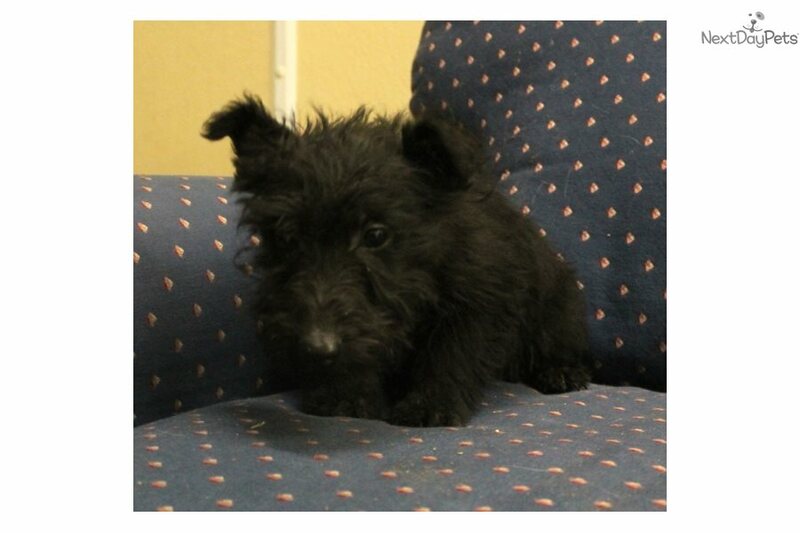 This Scottish Terrier sold and went to a new family. 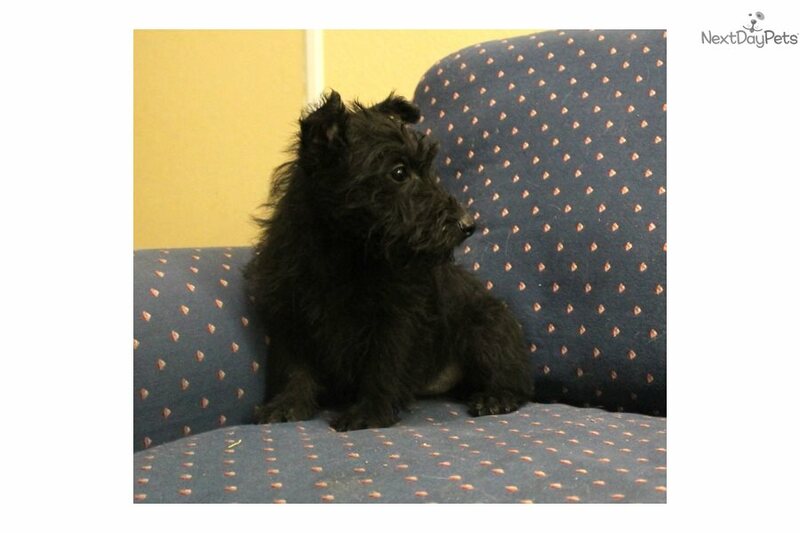 This sweet and friendly black Scottish Terrier male is an adorable little laddie looking for his forever home. He is ready now! We are located in northeast Nebraska. 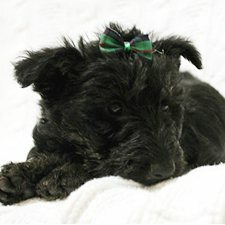 His mother, Rue, is an AKC Scottie female who weighs about 21 lbs. 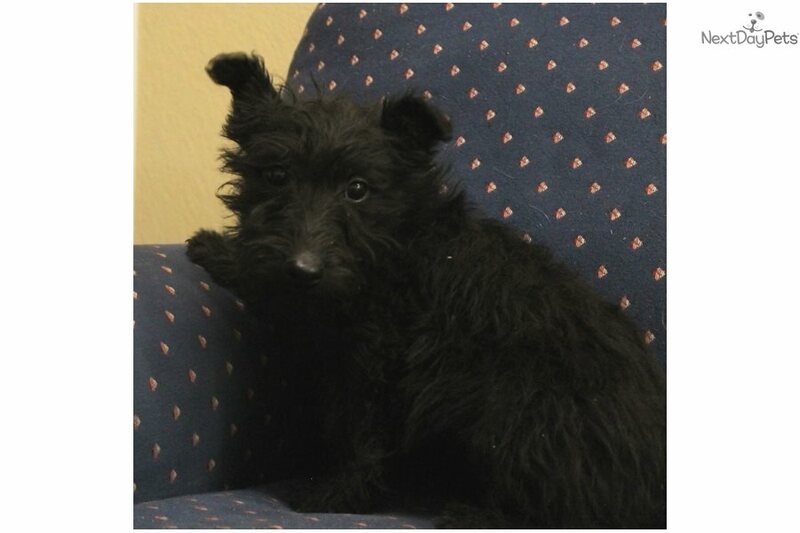 His dad, Fitz, is a black brindle AKC Scottie male who weighs about 24 lbs. He will be sold with full AKC registration, current shots and routine deworming, a one year health guarantee, a travel carrier, and copies of his parents' pedigrees. He will be vet-checked and receive a vet health certificate before going to his new home. If you live within driving distance, we would be happy to meet you partway, either free or for a small fee, depending on the distance. WE DO NOT SHIP. We accept PayPal, a personal check, or money order/cashier's check. For more information, please visit our website, www.tallpineskennels.com, email, or call Diana at (402) 893-4401. We'll look forward to hearing from you!